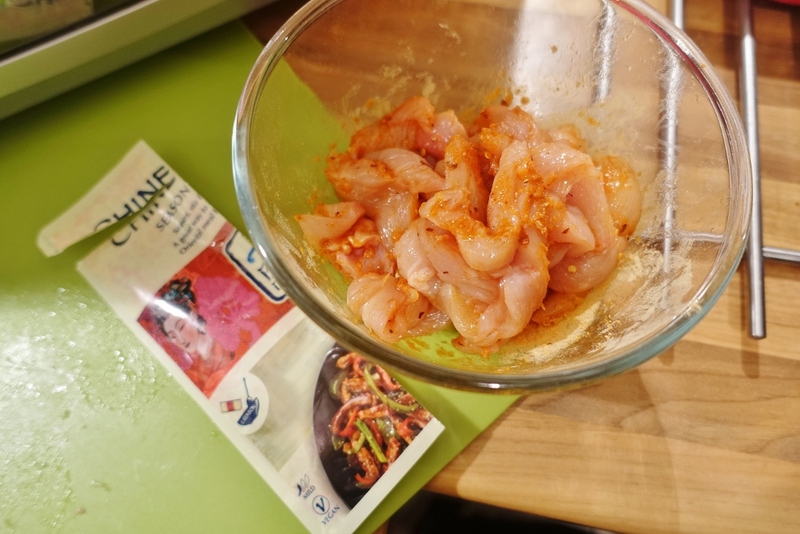 Last week I received a hamper of Blue Dragon products (*) so I could take part in a blogger challenge to create and prepare my own far eastern dish at home. If you follow my blog and my Instagram I love baking and cooking / eating, however, I'll admit I can be a rather nervous cook if I feel out of my comfort zone and tend to heavily stick to recipes and instructions. Let's just say I'm not really the creative, deviate 'away from the brief' type. 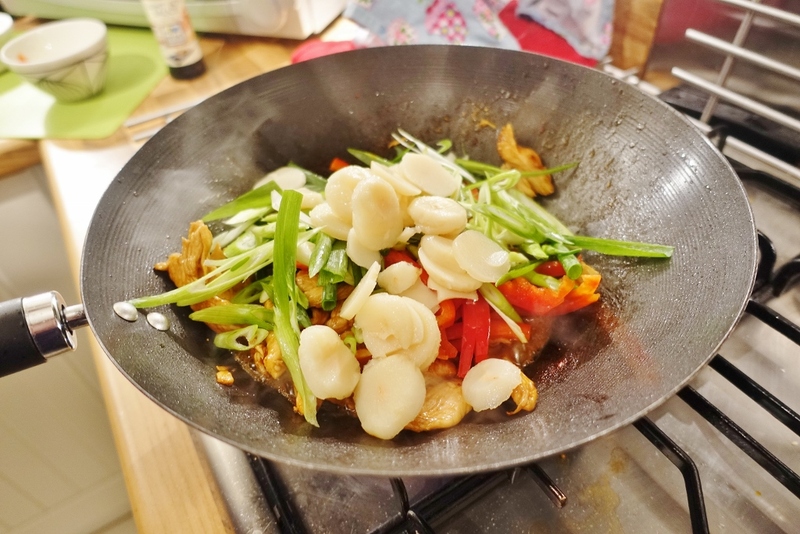 So, after successfully putting together my own dish, I wanted to share with you the recipe so that you too can be confident in tackling oriental cookery in your own kitchen, and purely to show you how easy it really is to throw together, a quick, delicious Asian-style meal for two! 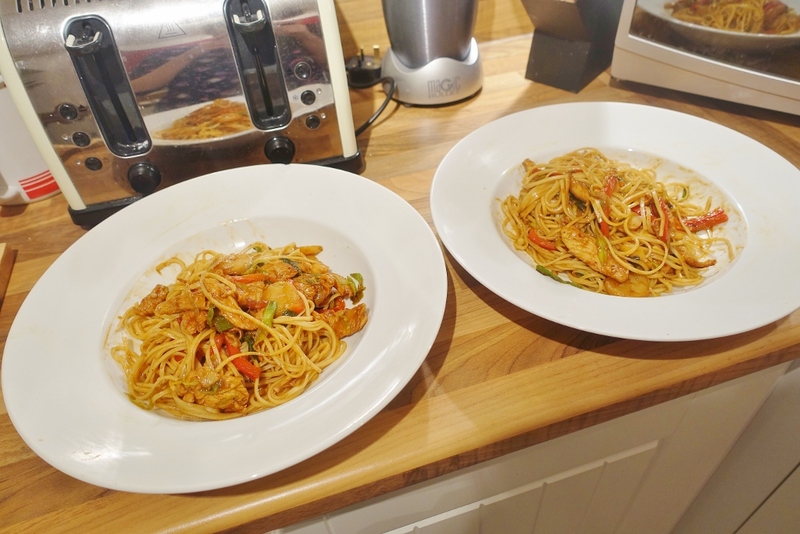 Me and Alex do tend to struggle with time after work, especially when it comes to meal preparation, so ideally we want some super quick that will fill our rumbling tummies! 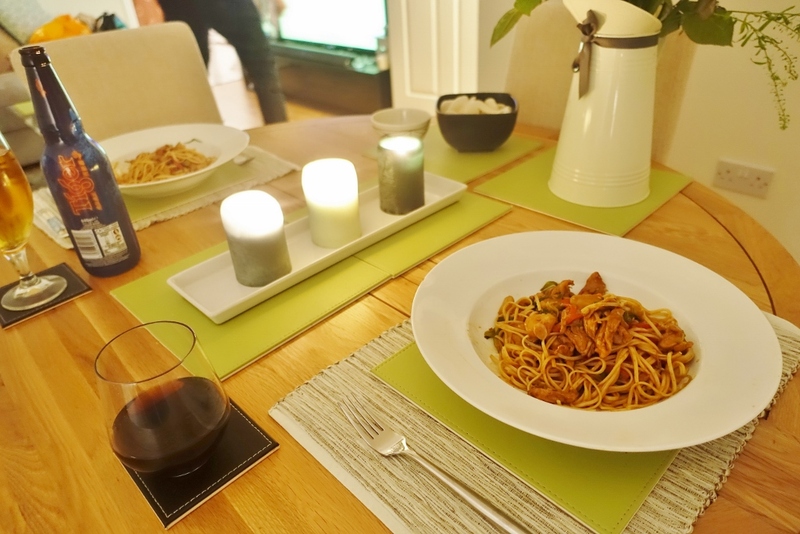 And what perfect timing, with Chinese New Year we thought it would be a great challenge where we could take some time out in the evening to cook together and share an Asian lager or three! 1. Gather all the ingredients above and prepare your vegetables and chicken. 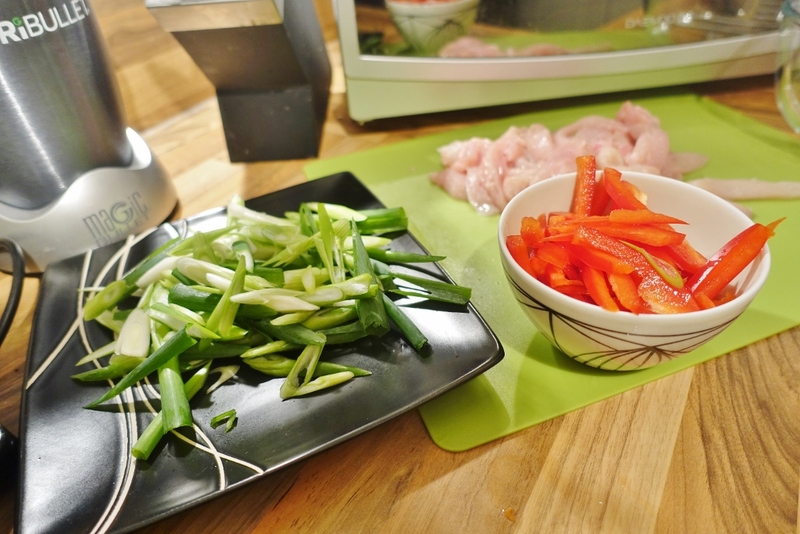 Finely chop the spring onions, into whatever size suits you, slice your red pepper and slice your chicken breast into manageable chunks! 2. Use the Blue Dragon Chinese BBQ seasoning and rub into and over your sliced chicken breast. Ideally this should the be left to marinade for 20 minutes or so. 3. While you are waiting for this to marinade, lightly toast your sesame seeds. 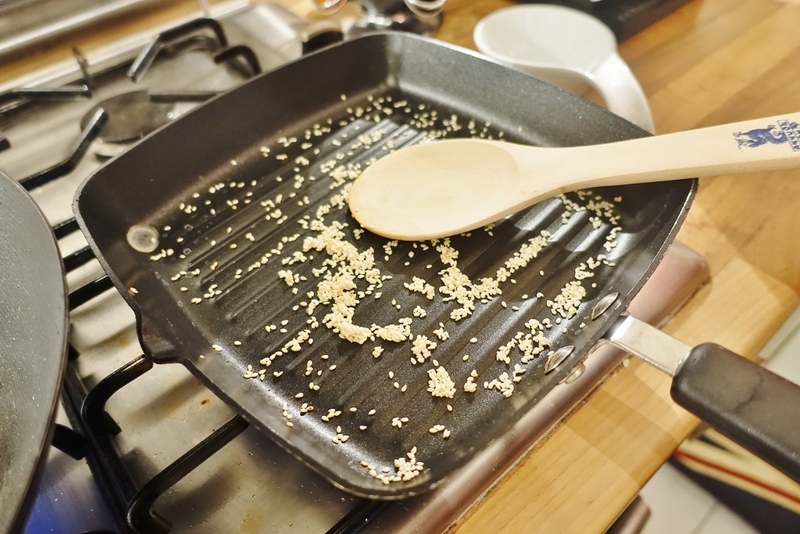 We used a griddle pan on a low heat until the sesame seeds turned a golden brown colour. 4. 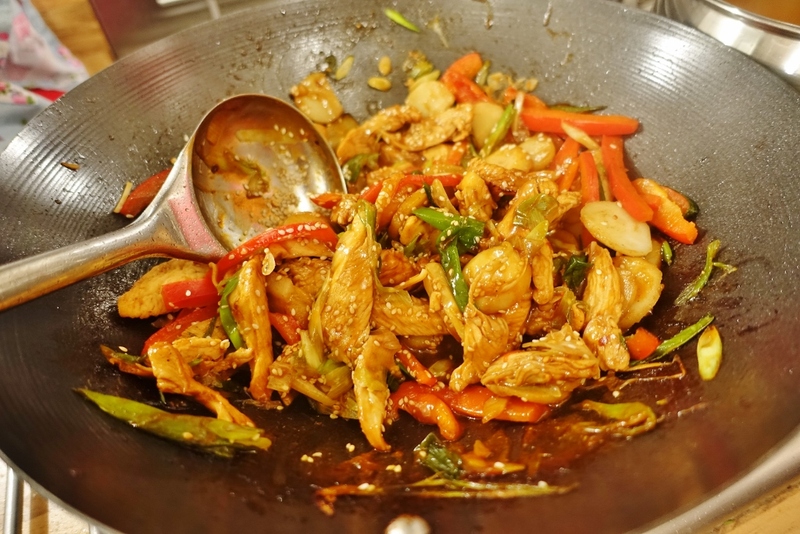 Once you chicken is seasoned, heat up a Wok so its very hot! 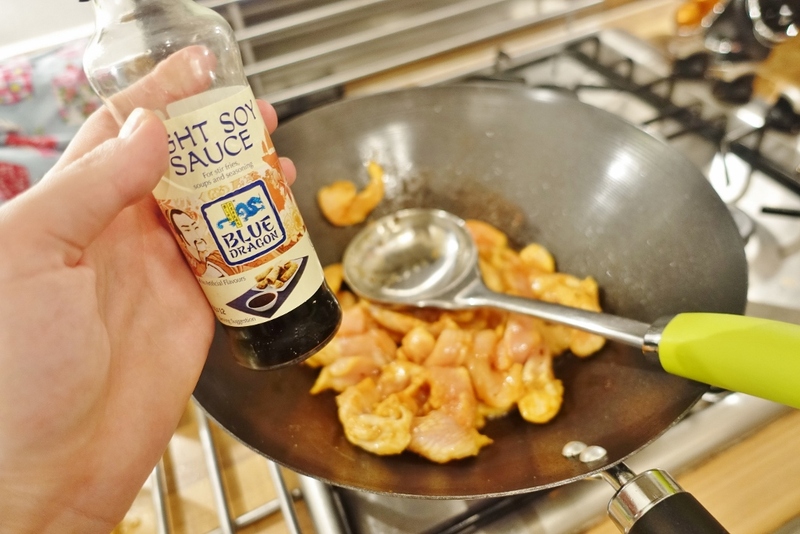 Once hot, throw in the chicken and further flavour with some Blue Dragon light soy sauce. 5. Now its time to add in your vegetables and stir fry. Add the peppers, spring onions, water chestnuts and sesame seeds. Then add in the Blue Dragon Chinese BBQ stir fry sauce. Mix and stir so all ingredients are evenly coated with sauce. 6. 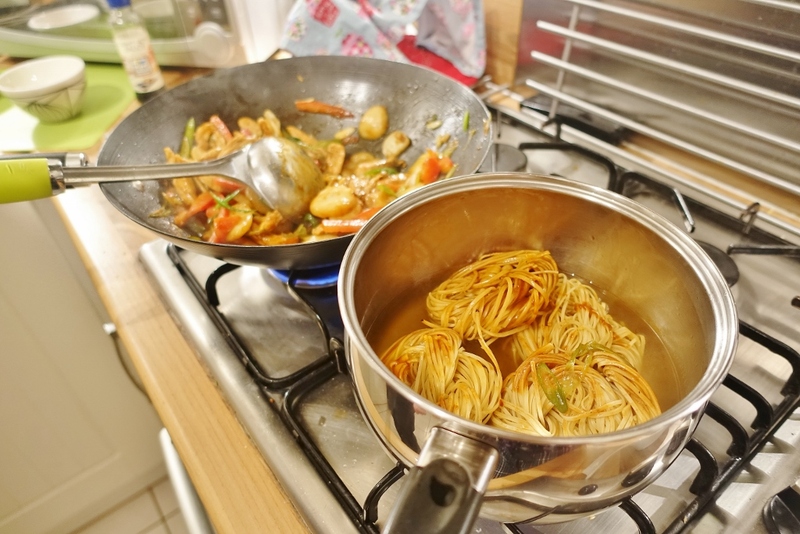 While stir frying your vegetables and chicken, bring a pan of water to the boil. Then add in a couple of rings of the Blue Dragon noodles. The packet suggests 1 ring per person, however we usually have big portions so I used 4 noodle rings. Season with Blue Dragon light soy sauce. Boil the noodles for 5-10 minutes. 7. 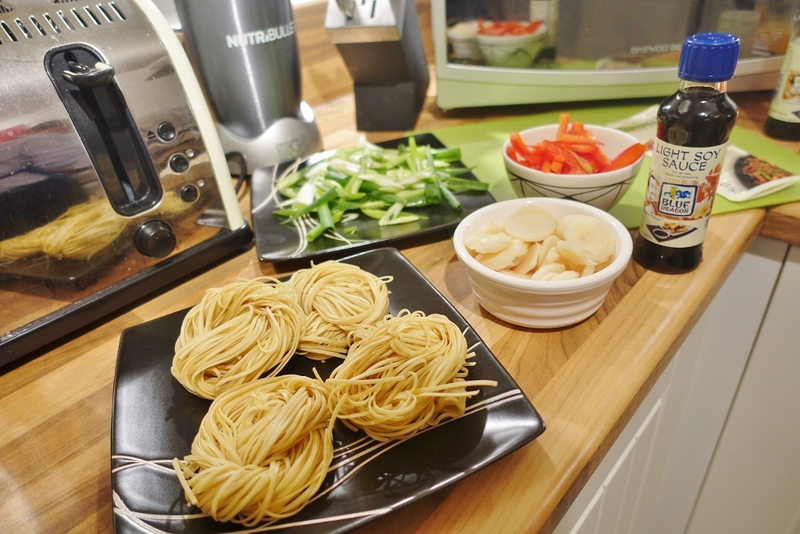 Once noodles are ready, we drained and added into our stir fry to mix in with the rest of the ingredients for a further couple of minutes. If you prefer you can serve straight away with the Chinese BBQ chicken and vegetables on top. 8. 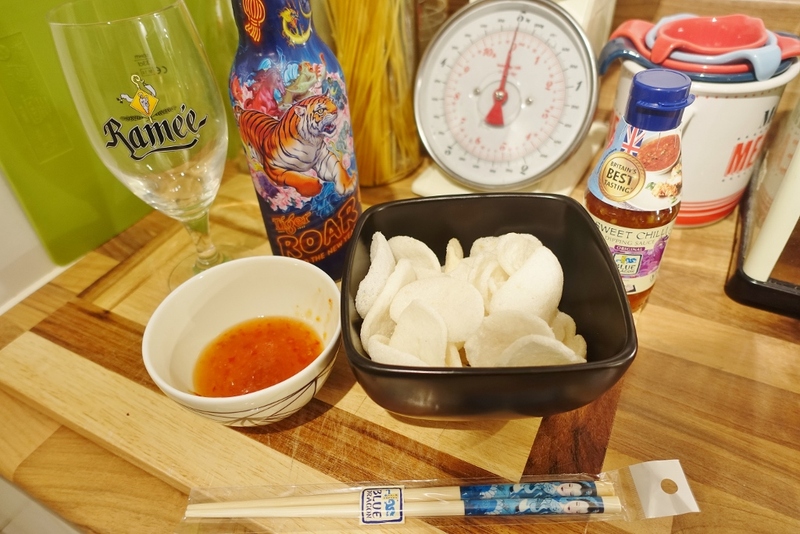 Now your meal is ready, sprinkle some more toasted sesame seeds if you like and serve alongside some prawn crackers and Blue Dragon sweet chili sauce and enjoy a Tiger beer while your at it! 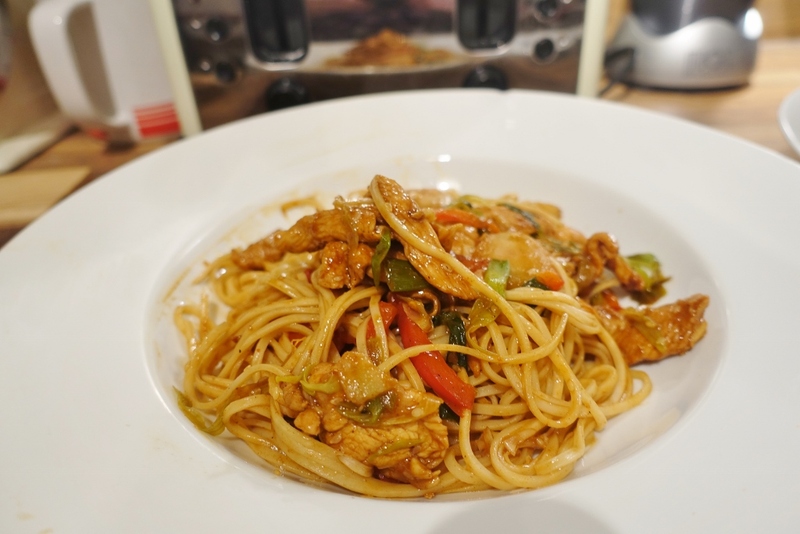 I hope you enjoyed my recipe post - we certainly did! 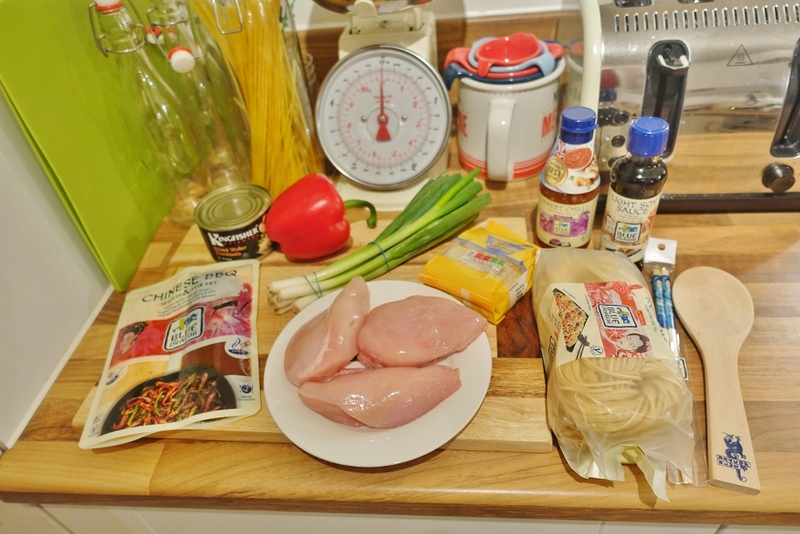 This post is an entry to the Foodies100 Chinese New Year recipe challenge sponsored by Blue Dragon. The range of Blue Dragon products is available in all major supermarkets at an RRP from £.069. To find out more, visit www.bluedragon.co.uk. This looks yummy! I am currently working on my custom writing essay process, and it seems to be very interesting to cook something I have never tried in my life. Thanks for your contribution!